The WBMD office serves as a central communication hub and resource center. We maintain a web site for WBMD congregations to find and/or advertise events or open positions. WBMD laptop computer and projector are available to borrow for special occasions. WMBD provides color copy service to our congregations at minimal cost. Our six Lutheran Pantries in Reading are feeding more than 4,000 people monthly! These pantries are located at Incarnation, St. Paul's, Hope, St. John's Reading, Christ Glenside, and Bethany West Reading. They are supported through the benevolence of our 42 WBMD congregations. Many congregations also participate in their local community pantries as well. About 40 youth and their advisors participated in the WBMD Youth Event held at Good Shepherd in February 2017. The spring bowl-a-thon fundraiser provided a fun activity for folks of all ages and the money raise supports WBMD youth ministry programs. 21 teams raised over $1,700. 127 people enjoyed our Lenten Prayer Breakfast a the Inn at Reading with guest speaker, the Rev. Dr. Michael Bennethum of the PA Northeast Synod. 50 Parish Professionals from across the WBMD enjoyed an Appreciation Luncheon at the historic Reading Country Club. WBMD again partnered with Bear Creek Camp to provide a week of Summer Day Camp in 2017 for 40 children. The youth thoroughly enjoyed their time there. 30 children participated in the 4th annual Music Camp hosted by Atonement Lutheran. The kids learned and performed "Kids of the Kingdom". Having facilitated resettling of the Johnson-Agiri family from Nigeria after their release from the local Detention Center, the family is in the asylum process and is hoping to remain in the US. The support of the family financially has been shared by many organizations and persons including our member churches. WBMD is the sponsoring organization of the Reading Berks CROP Walk which has raised over a million dollars in our 36 year history to fight hunger locally and around the world. Together in Hope: A Reconciling Reformation was hosted by St. Ignatius Catholic Church and brought many people from various faiths together for worship and fellowship as we recognized the 500th Anniversary of the Reformation. WBMD leaders took the lead in planning the service. WBMD Director attends meetings of the Clusters and retired Pastors to maintain communications with district Pastors. She also helps coordinate meetings of Rostered Ministers throughout the year. 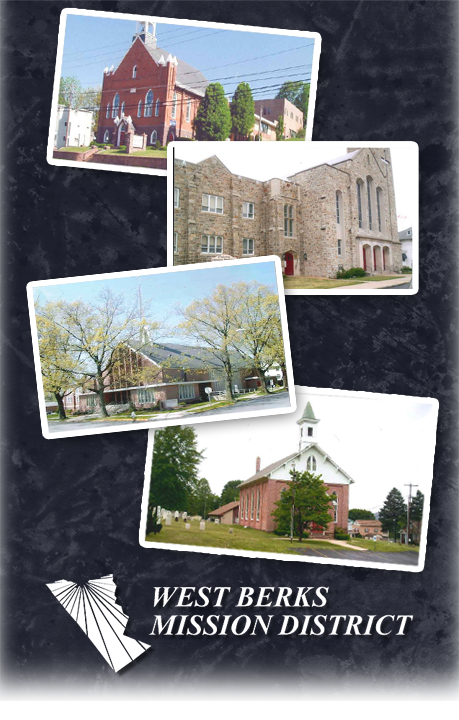 WMBD newsletters are published throughout the year to let congregations know about WBMD activities and how their benevolence dollars are at work in our community. Continued financial support to Family Promise of Berks County's Program for homeless families with children. Many of our congregations participate as hosts or partners in the Interfaith Hospitality Network, providing safe shelter and meals for the guest families in the program. Provide bookkeeping service for the Hospital Visitor Program, for the Reading Lutheran Parish, and for the GRIP Summit.